Looking for some fun Easter events with the kids? 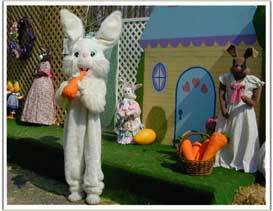 Linville Orchards is having hayrides through the woods to the Easter Bunny’s House! Everyone has the chance to meet the Easter Bunny and get a treat too! Be sure to check out the Baby Chick Display & Baby Animals while you are there too!